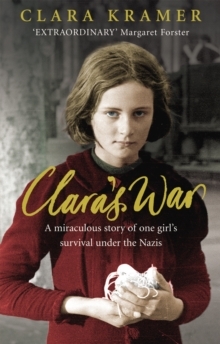 On 21 July 1942 the Nazis took control of the small Polish town of Zolkiew, life for Jewish 15-year-old Clara Kramer was never to be the same again. While those around her were either slaughtered or transported, Clara and her family hid perilously in a hand-dug bunker. Living in the house above and protecting them were the Becks. Mr Beck was a womaniser, a drunkard and a self-professed anti-Semite, yet he risked his life throughout the war to keep his charges safe. Nevertheless, life with Mr Beck was far from predictable. From the house catching fire, to Beck's affair with Clara's cousin, to the nightly SS drinking sessions in the room just above, Clara's War transports you into the dark, cramped bunker, and sits you next to the families as they hold their breath time and again. Sixty years later, Clara Kramer has created a memoir that is lyrical, dramatic and heartbreakingly compelling. Despite the worst of circumstances, this is a story full of hope and survival, courage and love.